It's been a whirlwind few days in the Ferrari camp after it was revealed that Finnish driver Kimi Raikkonen would be released from the team at the end of the season and replaced by Sauber's Charles Leclerc. While the news has come as a shock to many, it is onward and upward for Ferrari as the title race heats up towards the business end of the F1 calendar. Former driver Mika Hakkinen has now had his say on how Sebastian Vettel can beat Lewis Hamilton to the crown despite being thirty points behind in the championship race. 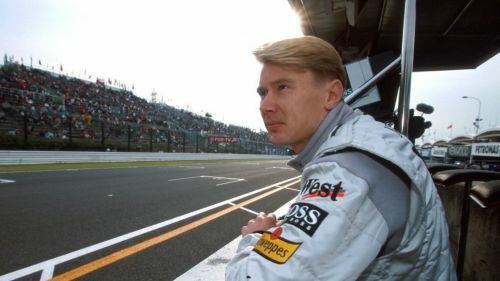 Hakkinen was known as the 'Flying Finn' during his racing days and won two World Championships in back-to-back fashion in 1998 and 1999. Having driven for both Lotus and McLaren, what the former champion says is generally taken quite seriously. Writing for Unibet, Hakkinen revealed that Ferrari still have a chance despite being a fair distance behind in the championship challenge and also praised his fellow Finn Kimi Raikkonen for his drive in Italy. “There are seven races remaining in this year’s World Championship and Ferrari cannot afford to have further battles between their drivers, mistakes by Sebastian or errors in race strategy", he said. “To beat Lewis, Valtteri and the Mercedes team, Ferrari now needs to do a perfect job every weekend and hope that Mercedes has some problems. Next week’s Singapore Grand Prix is not one of Mercedes’ favourite tracks, and the Ferraris should be very quick there again." “Kimi’s 100th podium finish in Formula One is a great achievement, and also his pole position lap being the fastest in Formula One history at 263.5kmph," Hakkinen added. Ferrari will be hoping that they can somehow establish an early advantage at Marina Bay and avoid the mistakes they made last year that resulted in both cars retiring on the first lap. Do Ferrari have enough to challenge for the title? Let us know in the comments.